The first community partner that we’ll highlight is St. John’s United Methodist Church Preschool located in Rock Hill, SC. SJUMC of Rock Hill offers a preschool ministry that includes a specially designed class for young children who have various diagnoses such as Down syndrome. Thanks for following this year’s new blog series on PMT Community Partners. 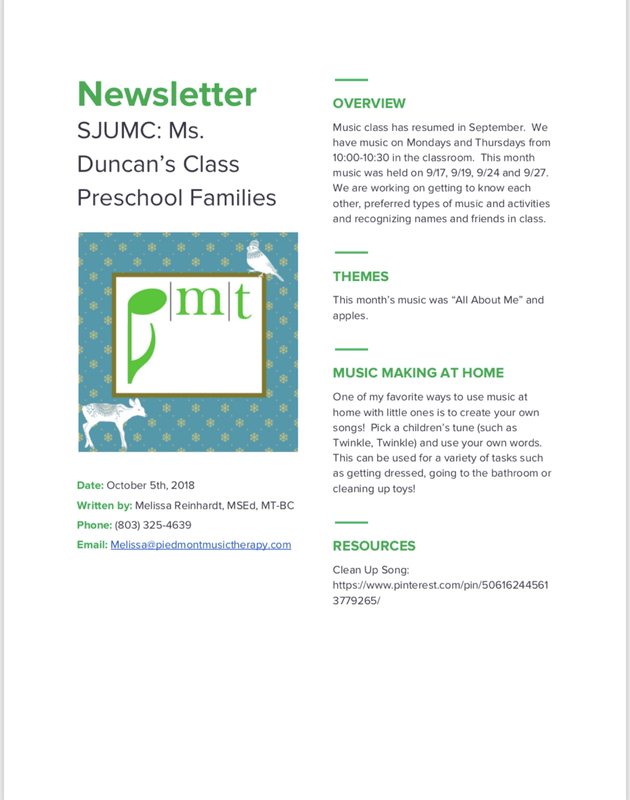 PMT is honored to provide music therapy group services at SJUMC in Rock Hill, SC for several years. Encountering the dedicated teachers and staff, witnessing the children’s personalities and being a part of these kiddos’ earlychildhood is an honor for our private practice. To learn more about the SJUMC Preschool Class for kiddos with special needs, contact Katie Goodwin at 803-985-5656 or Kgoodwin@stjohnsrh.org. As this year winds down our private practice and studio reflect upon the highlights of 2018. We've experienced continue growth with regards to our service offerings and community partners. PMT learned about the following discovery through a client's family. We became an approved vendor through NCSEAA and as a result yielded another outlet for families to access music therapy services in Charlotte, NC! North Carolina State Education Assistance Authority - Disability Grant Program has open enrollment in February 2019 for the 2019-20 school year. Please share this opportunity with privately or homeschooled children that are residents of NC and may be eligible to qualify. Our team of passionate music therapists has continued to grow with our newest team member, Miriam Tart from Charlotte, NC joining us this month. She'll be practicing on Mondays & Thursdays at our clinic in 2019 and we're grateful for her presence. Becoming an Approved Provider for Certification Board For Music Therapists has been an accomplishment in offering seven trainings through out 2018. These live and online courses were convenient for Charlotteeans and we welcomed attendees from all over the Carolinas. Stay tuned for new and returning course offerings to continue education next year. Also to help clarify, music therapy has been a path of college study since 1944. Here's the historical background on music therapy stemming from working with veterans from World War II. Closest training programs to PMT include Converse College - Spartanburg, SC, Charleston Southern University - Charleston, SC, Queens University of Charlotte - Charlotte, NC, and Appalachian State University - Boone, NC. We are honored to recognize our longstanding partnerships of 3 years of weekly services provided by Ashley Tisdale, MT-BC at Charlotte Rescue Mission - Dove's Nest in Charlotte, NC, almost 4 years at St. John's United Methodist Church Preschool Special Setting Class in Rock Hill, SC led by Gretchen Benner, LMSW, MT-BC, Perrin Jones, MT-BC and currently Melissa Reinhardt, MSEd, MT-BC, plus five summers of music therapy groups incorporated at Camp Boomerang - an inclusion based summer camp through Brace Family YMCA in Matthews, NC facilitated by Gretchen Benner, LMSW, MT-BC, Gabby Ritter, MMT, MT-BC and Melissa Reinhardt, MSEd, MT-BC. PMT partners as an off-campus clinical training opportunity for undergraduate or equivalency music therapy college students. Our clinicians appreciate the many students who completed course work under their supervision and grew in their understanding from the direct practice work with our clients. As well as the several high school students who interviewed our staff through the year and the volunteers that shared many hours supporting our practice behind the scenes. As we conclude our list of brief highlights from 2018, we share a special note commemorating all of the clients, students and their families who have allowed our staff to play a small role in their lives. We are grateful for this year of connections and all of the cherished memories that we have witnessed through our combined years of treatment and music instruction. Thanks to all who attended the presentation given by Melissa Reinhardt, MSEd, MT-BC at this morning's Olde English Consortium School Counselors Conference hosted at Chesterfield High School. On behalf of our current and potential clients, thank you for advocating for your students. The slideshow is available below. Please let us know if you have further questions! Our newest school partnership is with Philips Academy of Charlotte, NC. Their mission: to provide students with the academic, occupational and social skills needed to be self-reliant, confident and contributing members of their communities. We feel that the weekly music therapy group sessions offered for some of the students will be a great support to their social skill based goals through the fall semester. ​Plus we're continuing to welcome undergraduate students from Queens University of Charlotte who are working on their bachelor degree in music therapy. One of the practicum students will be attending off-campus practicum with Melissa Reinhardt, MSEd, MT-BC at Philips Academy. Our staff of board certified music therapists work with clients and students in our suite off Westinghouse Blvd. plus meeting clients out in the community... from Matthews, NC south to Rock Hill, SC. ​ Learn about other community partnerships on our Partner Page! 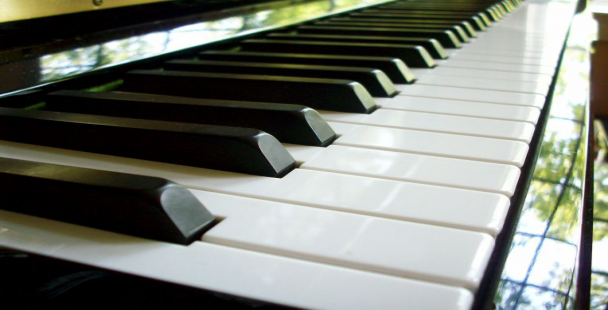 One of our music therapists will return at South County Regional Library tomorrow morning for the monthly music class! We celebrated one year of partnering with kiddos and their families in the Down syndrome community this summer. Curious about more details? 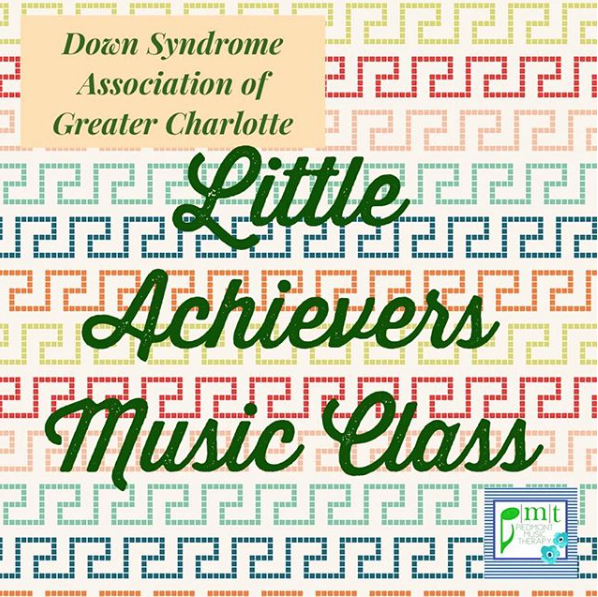 Contact us or check the sponsoring non-profit: Down Syndrome Association of Greater Charlotte! Plus DSA-GC just received new leadership with Holly Zipperer as Executive Director. You can check out her reordered address to the Town Hall Meeting on their Facebook Page!